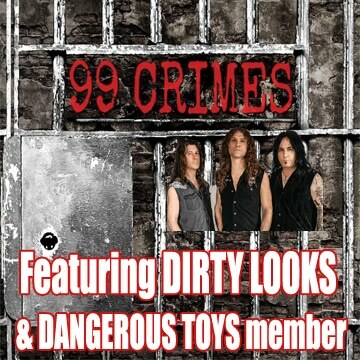 Sleaze Roxx: You’re making it to the U.S. for you first solo headlining tour, you must be ecstatic. Blaze Bayley: I am. I have a lot of loyal fans worldwide and I glad I can perform to our North American fans. We’re working with a different agent. They’ve been able to get us these dates booked for this tour. Sleaze Roxx: No doubt you’ll be promoting the last two albums with select tracks in the setlist. Blaze Bayley: Yes. There’s people out there that aren’t aware that I released ‘Infinite Entanglement’  and the follow-up ‘Endure And Survive’  which is the second installment of a trilogy. I will release part three in March 2018. The first record ‘Infinite Entanglement’ was the beginning of a journey of 1,000 years and it was the realization that you are not in a specially designed space suit. You are actually machine. Your consciousness has been downloaded into a machine body. You ask yourself the question “Are you human?” The second album ‘Endure And Survive’ is the end of the journey of 1,000 years and the darkness of that endurance — the things that happened to understand that you are just a cog in a machine. You were never meant to reach that new world. That new planet, that fresh start was never meant for you. It was an absolute lie and a seduction. The second record is much darker. The reaction from the fans is that it’s my best work to date! The third part will tie-up the storyline. I can’t get into details on that yet, but I’m sure the fans will be thrilled with the end result. 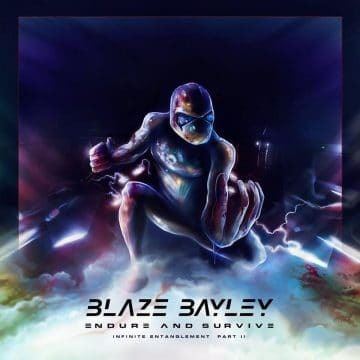 Blaze Bayley, singer with Iron Maiden 1994-1999, releases this first single from his forthcoming 9th solo studio record ‘Endure and Survive’. The title track is available to download NOW on digital platforms worldwide, ahead of the full album release which is set for 3rd March 2017, including iTunes and Amazon…. Sleaze Roxx: Did you receive any tips from Geoff on writing concept albums? Blaze Bayley: We work in different ways, but we never talked about our work specifically. I’ll give you an example. I work great with deadlines. I have released these two concept albums in March of 2016 and March of 2017 and now, I have a goal to release the third album by March of 2018. 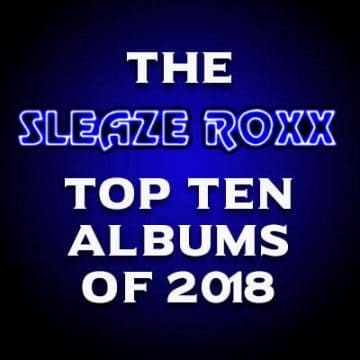 Sleaze Roxx: Writing a concept album has to be harder to write than a conventional stand alone album. That has to be more like writing a book or a screenplay. Blaze Bayley: Well, I’m writing the book [laughs]! The trilogy is based on the story [for the book] that I’m writing. After I release the album and tour behind it, I want to ‘disappear’ for a little while and complete the book [laughs]! The book is scheduled to be released in March 2019 [laughs]! I know that not everyone is into concept records but I will say that even if you don’t like the idea, you can listen to this album and you enjoy it. It’s a great collection of songs. 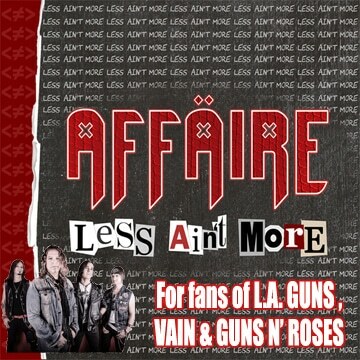 Sleaze Roxx: I discovered you when I first heard Wolfsbane on MTV’s Headbanger’s Ball. I saw the video for “I Like It Hot” and instantly heard a Van Halen influence. Blaze Bayley: Absolutely, at least at the start, Van Halen was a huge influence on us. We thought they were such a fun band. They did things differently than other bands and they made some noise. These things got our attention. We were just kids from a small town in England. I think you got the element of ‘fun’ that we wanted, which we got from Van Halen. The Who was also a big influence for Wolfsbane. We all loved The Who and we all took different things from them and their performances. If we ever needed something to ‘pick us up’ before the show, we’d listen to something like ‘Live At Leeds’ by The Who. 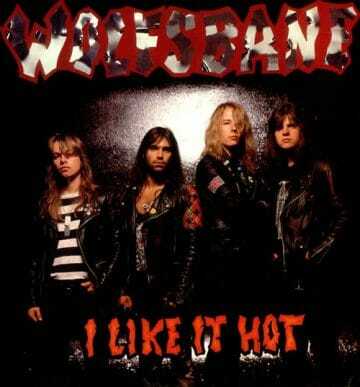 Video for the Wolfsbane song “I like it hot” from the album “Live Fast, Die Fast”. Howling Mad Shitheads UNITE!! Sleaze Roxx: What’s your recollection of working with Rick Rubin? Blaze Bayley: I didn’t like him at all. Rick has a certain way of working he’s really good at that. Let’s just say he didn’t fit my personality — at all. This was in the beginning stages of his label. He had moved from Def Jam. He had done one Slayer album. We were at the start of his Def American rock band roster. I won’t say that I didn’t learn anything because I use all my past experiences making records to make the best records that I can. I had a better experience working with Brendan O’Brien who did the second Wolfsbane record [‘Down Fall The Good Guys’]. Brendan is a phenomenal musician and a fantastic singer. The things that learned from Brendan have guided through the work that I do to this day. Working with Steve Harris also was a huge learning experience as well as working with Andy Sneap. Sleaze Roxx: Wolfsbane didn’t get a fair shake in North America. Blaze Bayley: I agree. Wolfsbane — we were a live band and all we wanted to do was to live on a tour bus. We weren’t out to become ‘rock stars.’ We were just four guys from Britain that just wanted to go crazy on stage night after night. Def American made this very expensive video for “I Like It Hot.” We didn’t get played because we weren’t ‘fashionable’ anymore. The heavy metal bubble burst and we didn’t get that opportunity to live out of a tour bus. We wanted to tour, which would have been much cheaper than making that music video. Sleaze Roxx: You went from Wolfsbane to [Iron] Maiden and recorded ‘The X-Factor’ which received positive reviews. 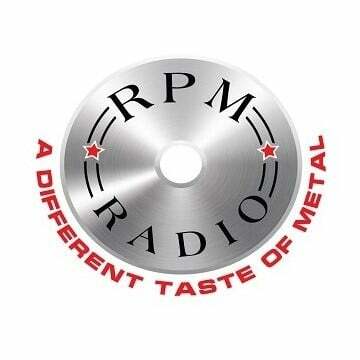 Blaze Bayley: What a great experience. I learned a lot from working with Steve Harris and the guys. I have fond memories of working with Steve on “Virus” and “Futureal” and “Man On The Edge” from ‘The X-Factor.’ I remember the first time I got into the recording booth to record “Sign Of The Cross” — that was just surreal to me. There were areas in my voice that Steve found that I wasn’t aware existed. Sleaze Roxx: Why do you think “Virtual XI’ [Iron Maiden] didn’t connect with fans in the U.S.? 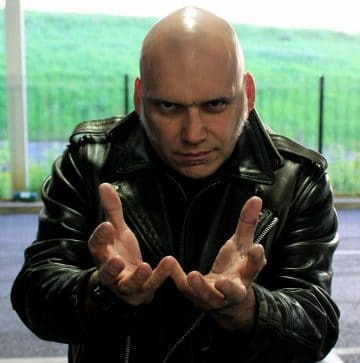 Blaze Bayley: It had to do with the single we released here, which was “The Angel And The Gambler” when we should have gone with “Futureal.” I feel that “Futureal” would have gotten a more positive reaction and would have generated interest in the record. I like the record a lot in my opinion. “The Educated Fool,” “The Clansman” and “Futureal” are fantastic songs. Iron Maiden – The Angel And The Gambler – from 1998’s ‘Virtual XI’ Buy from Amazon: http://po.st/aVirtualXI Download: http://po.st/iVirtualXI Stream: http://po.st/sVirtualXI Complete your Iron Maiden vinyl collection: https://parlopho.ne/maidenvinylcollection Download and play Iron Maiden’s ‘Legacy Of The Beast’ iOS and Android game for free now at http://hyperurl.co/nyz7u8 New album ‘The Book Of Souls’ out now. 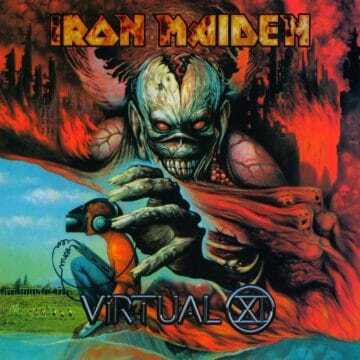 Iron Maiden – Futureal – from 1998’s ‘Virtual XI’ Buy from Amazon: http://po.st/aVirtualXI Download: http://po.st/iVirtualXI Stream: http://po.st/sVirtualXI Complete your Iron Maiden vinyl collection: https://parlopho.ne/maidenvinylcollection Download and play Iron Maiden’s ‘Legacy Of The Beast’ iOS and Android game for free now at http://hyperurl.co/nyz7u8 New album ‘The Book Of Souls’ out now.